Since today is April 5th, it is time for a Finish 5 by Cinco de Mayo update. This will be my second update for this project. I started mid February and you can see my intro here. March was my first update which you can check out here. There is only one month to go in this project! I thought I'd have more products finished at this point but I think I'll finish most of them in the next month. I'm feeling pretty confident with this one (hope it is justified:). I have finished one product! 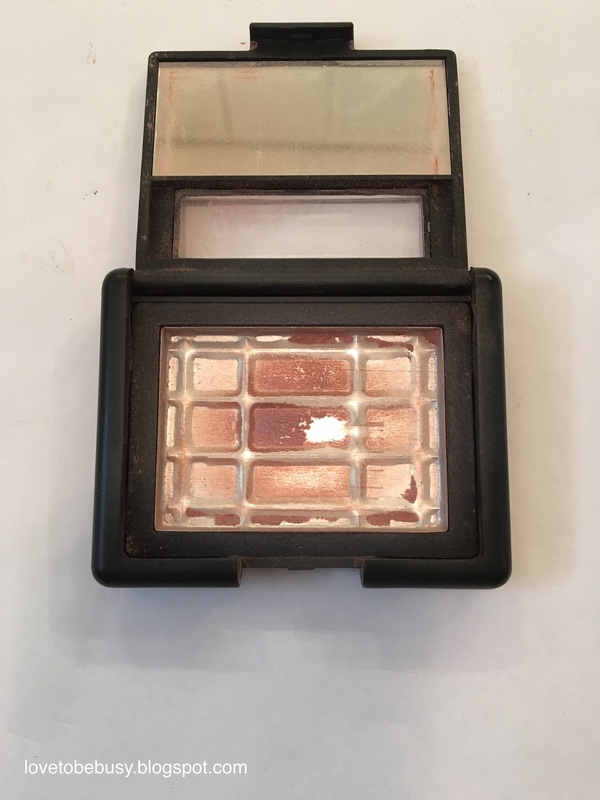 This month I finished the Elf blush in Mellow Mauve. Foundation - My bonus item was this air pump of two mixed foundations. This has been too dark so I've been mixing one pump with my It Cosmetics CC cream that is too light. However, since going to Florida last week, this matches me pretty well. So I'm using two pumps to cover my whole face and I hope it will be gone soon! 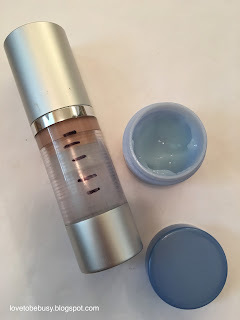 Laneige Water Sleeping Mask - I only have two or three uses left in this tub. I think if I use it every week as my moisturizing mask, it will definitely be gone. 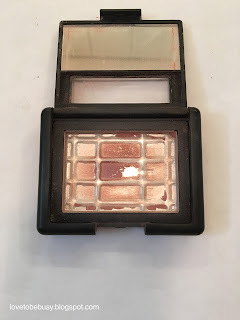 Coastal Scents eye shadow - This is the product I doubt I'll finish. I've expanded the pan and will probably need to repress the shadow soon, but I still don't think it'll be gone. 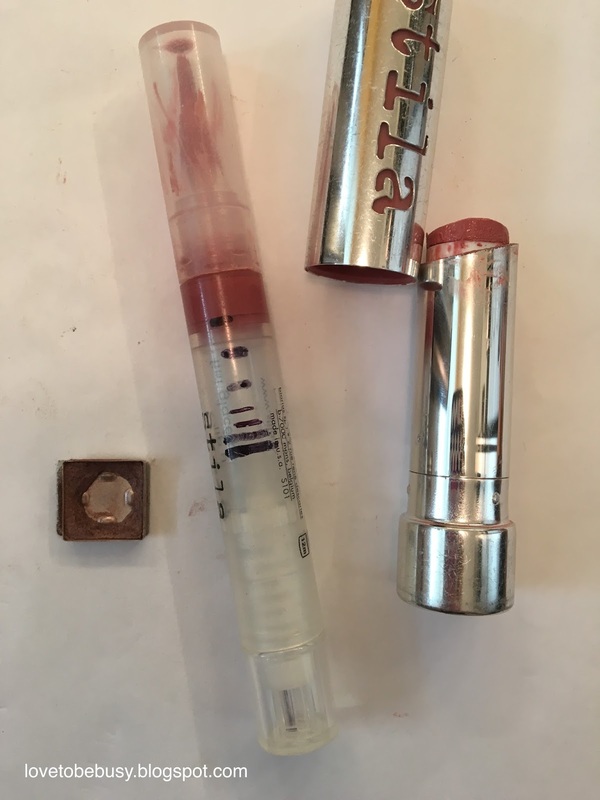 I've been using this shade from a sampler quad in my crease. Stila lip glaze in sugar plum - You can see my progress marks and I've made pretty steady progress. I didn't use this much while on vacation so I think with four weeks to go it should be done. Stila balm in Gabrielle - I don't have many more uses of this one, maybe a week. The problem is that the tube is slanted so its getting low enough that I am rubbing my lip on the packaging. While I don't think I'll finish the eye shadow, I did have six items in this project and feel pretty good about finishing 5 of them. This will make me feel much more successful with my panning since my last seasonal project (Finish 14 by February 14th) was a dud:).